Scan the code, and pay using PayTM! 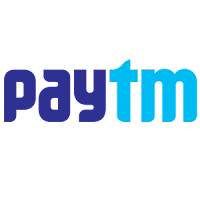 To further enhance the user experience and drive acceptance of digital payments, Paytm has introduced a QR code-based payments in its Paytm Wallet app. A first of its kind, QR can be used by any shopkeeper or service provider to start accepting digital payments. Customers can pay via their Paytm Wallet app using their wallet balance or their saved payment instruments. A QR (Quick Response) code is a matrix bar code - a machine-readable label that contains information. In the case of the pre-printed QR codes, the only information it will contain is the Paytm account details of the merchants. After scanning the QR code, the buyer has to merely enter the payment amount and approve the payment. The QR code option will allow basic service providers such as kirana stores, auto-rickshaws, fast food joints and others to carry a laminated QR code of their account and receive payment even without a data connection. They will receive a transaction confirmation through SMS even on a basic phone. Merchants will also be able to generate dynamic QR codes which will contain the amount to be paid as well, in addition to merchant’s Paytm details. On the addition of the new capability, Nitin Misra, Vice President - Payment Products, said, "The existing 10,000 merchants, who enable top-up of Paytm wallets with cash, will also be encouraged to start accepting QR code-based payments as many of them are kirana stores. We see high applicability of this solution with local retailers & service providers like handyman, autos, small restaurants & kirana stores. The benefits for merchants are freedom from handling cash, instant payments & much lower operational costs. Customers can now pay exact amount & don’t have to carry cash around. Shortly, we will also launch a payment merchant application that will give retailers a wider range of functionality". At present, the Paytm app has payments enabled for the likes of Pizza Hut, KFC, Costa Coffee among others. Under the present method a one-time password is generated after the customer's mobile number is received. The implementation of QR Code aims for Paytm to play host to many other merchants that will accept payments through QR codes.